The day after a long weekend. The day after a week or two week long vacation. Following the arrival of a new baby home. Before, during or after moving to a new home. These are all things that can cause separation anxiety in preschoolers and in parents! It is helpful for families to know about separation anxiety in order for them to recognize it and for them to be able to work with you to help their child through it. If you don't already have one, consider putting together a list of separation anxiety tips for parents to send home. Here are some ideas to include. Separation Anxiety Tips for Parents : Tell Them About It! Without getting too technical, let parents know what it is! Simply stated, separation anxiety is the fear of being separated from a parent or other significant person in a child's life. 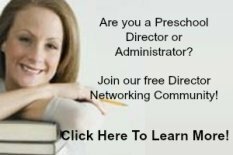 The beginning of a school year is the number one cause of separation anxiety in preschoolers, however, other items such as moving, a new baby or other signficant life change can cause it. Many children transition well through changes. Others react by crying, yelling, or in some cases, with defiance. It is all based on their own fears and insecurities to the situation. This article is focused on separation anxiety that occurs with starting or returning to school, but could be adapted to other life changes. Let the parent know how you can and will help. If their child is crying, suggest that the parent hand their child over to you (showing child that the parent trusts you with them). Perhaps you could ______________ (read story, do a puzzle) together. Let your child know that once you are done doing that, you will be leaving and will see them after __________(whatever your last activity of the day is). Let me know when you are ready to leave. Remind your child, "That was a fun puzzle. Mom's going to leave now. Have fun with Miss Cheryl and your new friends. I'll see you after storytime!". When you say you are leaving...LEAVE!!! Don't stay for 1 more puzzle, or 1 more story. 2. 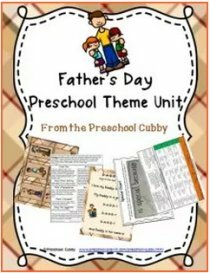 Encourage them to send a family picture to school for the child to hang in their cubby. This gives them a visual reassurance that they can go over to look at then they are missing their parent. 3. Encourage them to talk with their child about the process. They should let their child know what will happen so the process is not a surprise. 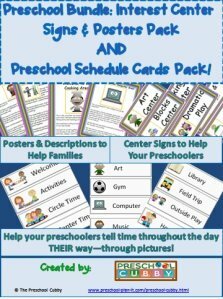 Encourage the parent to look at your Visual Schedule. Showing a child how the day will be and when they will return is very comforting to children. 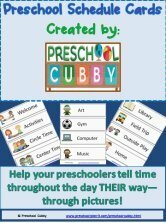 They can see this schedule throughout the morning or day and know when their parent will return just by looking! 4. 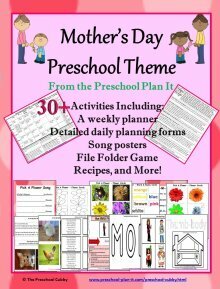 Encourage parents to follow Through with the Plan! It is important that parents know to be consistent. Follow through with the plan. Once they have read one story, it is time for them to leave, not time for them to read a second story after much pleading! Let parents know to tell you when they are ready to leave if their child is having a tough time so that you can intervene. 5. Tell parents NOT TO APOLOGIZE for leaving! Many times when a child is crying, a parent will say "I'm sorry honey. I have to leave." Tell them NOT to apologize! This--though unintentional--tells the child that the parent does not WANT to leave them. If my Mom doesn't want me to stay here, I don't want to stay! 6. Tell parents to say goodbye AND THEN LEAVE! This is the BIGGEST problem in classrooms every year. The 20-minute goodbye! Tell parents that the goodbye needs to A. Happen and then B. Be quick! What I mean is, they NEED to say goodbye. Leaving the classroom quietly when their child is otherwise occupied only sets the child up to have a meltdown once they've realized the parent is gone. Once they say goodbye, they need to LEAVE. Tell parents not to drag out a goodbye. If they are not going to leave right away, they should not say goodbye. Once they do say goodbye to their child, they need to leave swiftly and with a smile on their lips! 7. Encourage the parents to hand their child to you if he/she is having a tough time. There is nothing worse than having to peel a child off a parent. It gives the child the idea that you, the stranger, are taking them from the child. A parent handing their child to you (even though some peeling may be necessary) tells the child that the parent is comfortable with leaving the child with you. 8. Tell Parents to Focus at Pick Up Time. 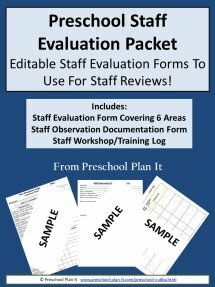 Encourage parents to be prepared to be 100% focused on their child at pick up time. They've had a tough drop off and can have any number emotions when the parent picks up from happiness to tears to anger. Remind parents to turn their cell phones to vibrate before they come into the classroom. Children need their parents undivided attention for at least 5 minutes at pick-up time. This is a great time for the parent to reinforce that they came back, ask about the child's day and perhaps look at something their child made or meet one of their child's new friends. Nothing annoys me more at pick up time than seeing a parent snap their fingers at a child and point to the child's jacket and backpack while they talk on the phone. 9. Encourage phone calls! If you or parents have concerns about their child's separation anxiety, how can you connect and talk? I do not recommend doing this in front of the children. It adds to the child's fears and insecurities. Set up a time to talk on the phone or to meet while another staff member plays with the child in another room. 10. 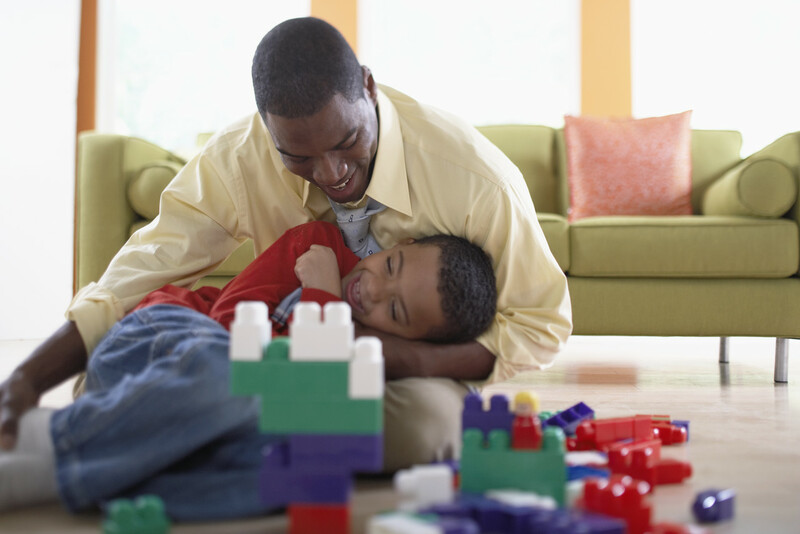 Let parents know that separation anxiety can return even after it seems to be gone for good. It can be after a long weekend, a vacation or an illness. If this happens, following the above steps will help them through it once again. Only this time, it will be easier because trust has not only been built between you and the child but also between you and the parents. 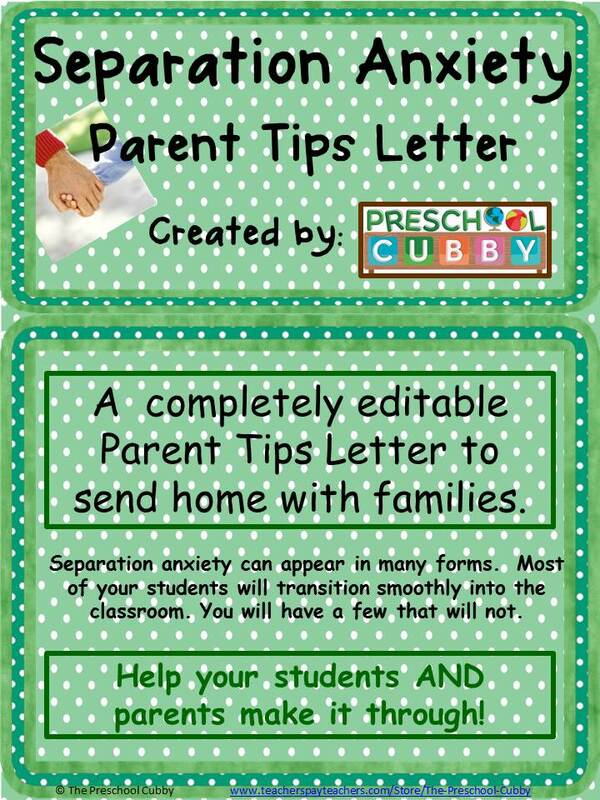 I have put together a Separation Anxiety Tips for Parents Letter that can be sent out to your families. 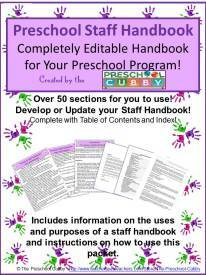 It is completely editable for you to add, change or delete tips to better reflect your program. I also have created a Visual Schedule packet. You can read more about each one by clicking on the links below.